Truffle butter is a wonderful and inexpensive way to get the flavor of this exotic fungus without the expense. 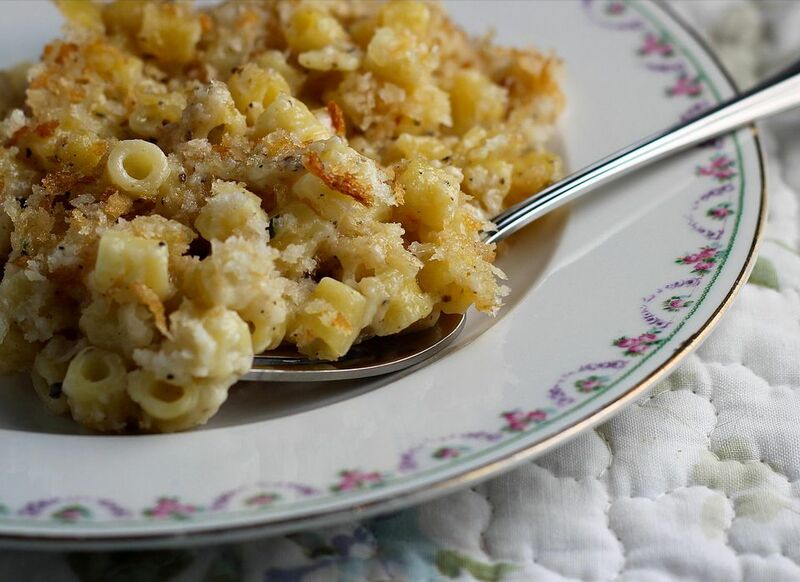 Use it to make Truffled Mac and Cheese, an easy and indulgent recipe perfect for romantic dinners. This recipe is very rich, so you can only eat it in (relatively) small portions, but it is just incredible. Serve this wonderful mac and cheese with some roasted or steamed asparagus, a fruit salad, and end the meal with a rich chocolate dessert. Butter a 13" x 9" glass baking dish and set aside. Meanwhile, melt 1/4 cup of the truffle butter in a heavy saucepan over medium heat. Add the flour, salt, and pepper; cook and stir for 1 minute. Stir in the milk and the cream and bring the mixture to a simmer, stirring with a wire whisk. Add the pasta to the boiling water and cook until al dente. Drain well. Add the cooked pasta to the sauce in the saucepan along with the three kinds of cheeses. Mix gently, then pour into the prepared baking dish. Combine the bread crumbs and 2 tablespoons of the melted truffle butter in a small bowl. Sprinkle over the macaroni and cheese mixture in the dish. Bake for 20 to 25 minutes or until the macaroni mixture is bubbly and the breadcrumbs begin to brown.